El Best Western Ambassador Inn se encuentra en el centro de Wagga Wagga. Venga y disfrute de las mejores atracciónes turísticas cerca de nuestro hotel. Precios bajos garantizados y ofertas exclusivas. Alójese en este hotel de cuatro estrellas de Wagga Wagga situado a poca distancia del centro de la ciudad, los hospitales, las salas de fiesta, el recinto ferial, el hipódromo y a sólo unos minutos de la Base Militar de Kapooka. Bienvenido al Best Western® Ambassador Inn de Wagga Wagga, un hotel que ofrece unas habitaciones de calidad para huéspedes en viaje de placer o de negocios. Nuestras amplias habitaciones situadas en planta baja cuentan con una cómoda cama de matrimonio grande, acceso gratuito a Internet de alta velocidad inalámbrico, reproductor de DVD con uso gratuito de nuestra biblioteca de películas, aire acondicionado, un completo minibar y televisor con pantalla digital LCD y canales Austar. Este hotel ofrece asimismo suites familiares y apartamentos de dos habitaciones. Nuestro establecimiento ofrece también unas suculentas especialidades caseras (cenas servidas de lunes a jueves y desayunos servidos todos los días de la semana), servicio de lavandería, piscina de agua salada y zona para barbacoas. Los huéspedes que se alojen en el Best Western® Ambassador Inn estarán situados a poca distancia de las atracciones turísticas de Wagga Wagga, entre las que se incluyen los Jardines Botánicos, varias bodegas, el río Murrumbidgee, museos históricos, galerías de arte y edificios patrimoniales. Si busca un servicio de atención al cliente altamente profesional y una magnífica ubicación en Wagga Wagga, realice su reserva hoy mismo en el Best Western® Ambassador Inn. The best western in Wagga is a fantastic place to stay, great staff awesome rooms and a great hi speed internet connection. I found the location to be awesome, close to every thing I needed, the cinema was close for a great night movie and the supermarket was close for a few items, just a great place to stay. Hi Navigator55020788014 Many thanks for staying with us at the Best Western Ambassador Motor Inn & Apartments. Your review and feedback is greatly appreciated and helps us a lot, as well as other travelers. 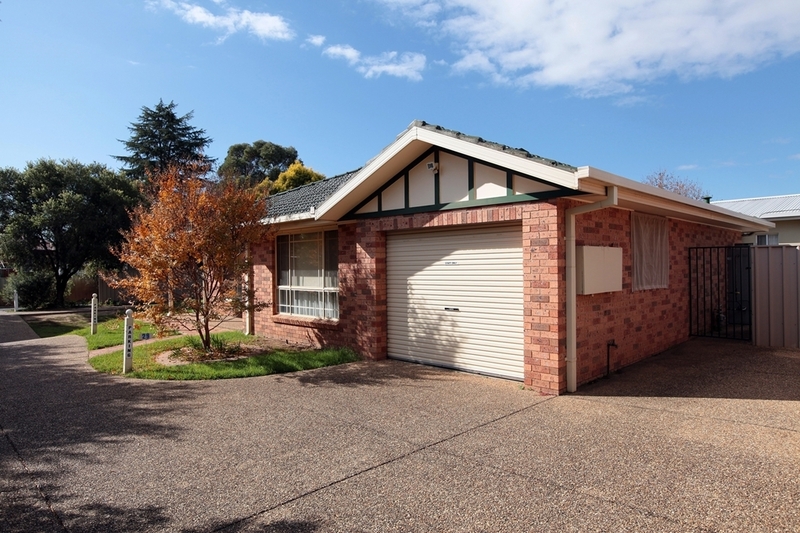 You chose the location well and Wagga certainly has a lot to offer. Being so close to the hospitals and eateries is very handy. Glad you enjoyed our fast Wi-Fi, we're told it's the best in Wagga and can be accessed anywhere in the grounds as well. Also we'll pass on your review to our staff who will really appreciate it. Many thanks. Enjoy your travels. Cheers Tony & Lynn - owners. Arrived late afternoon to a very friendly welcome from a couple manning reception. Very pleasant and put a smile on your dial. Room was recently updated. Bathroom roomy and shower hot. Continental breakfast was unfortunately from the 70s. Glad wrap over a mini milk jug. Fruit juice in a glass covered in glad wrap. Bread for toast in a paper bag. Still it was ok.
Hi landav Thank you for your feedback. All room service food and beverage items are covered for freshness and hygiene reasons while wait staff carry it to your room and serve it to you. All our milk is local and fresh – we provide it free in 150 ml mini bottles on arrival as a complimentary courtesy item, we don't use UHT milk. Milk stocks are minimised to ensure freshness, so then we use bulk fresh milk also complimentary, and cover it between kitchen and your table in your room to protect it, which very few restaurants do between kitchen and table. The same for the free juice we served you. There is also a selection of juices in your room minibar but they are chargeable items. The bags are specially made and printed with “your toast” and after about 50 years are still a very popular stock item in the Australian hospitality industry, to protect food from kitchen to your table in your room. It is always a pleasure to provide room service for you especially free with compliments as was yours. Cheers. Tony. Owner. "Really delightful and restful for business trip"
It was so wonderful and surprising to be told that I could have soya milk and that they could easily and happily provide me with a delicious and tasty gluten free breakfast with plenty of choice. The room itself was spacious, clean and had all the amenities. The mini-bar was generously supplied and the prices were reasonable. The motel is relatively quiet and although it is on the Sturt Highway it seems to be quiet at night so I had a very pleasant sleep. I absolutely recommend this for your business trip or holiday. The hosts are just delightful and made me feel very welcome. Hi 897parig. Many thanks for providing such detailed feedback re your stay with us at Best Western Ambassador Motor Inn & Apartments. This helps other travellers and of course helps us as well. Thank you. The motel was purpose-built to eliminate traffic noise and it works beautifully. Glad you enjoyed your stay and we could meet your dietary requirements. Looking forward to seeing you again, happy travels. Cheers Tony & Lynn - Owners. "Great overnight stay at one of the best maintained motels my husband and I have ever stayed in." Room was spacious, nicely furnished and the cleanliness was excellent. Beautifully cared for motel both indoors and outdoors. Reception staff were very welcoming. Would not hesitate to return to this motel or highly recommend to friends and relatives. Congratulations to the owners, management and staff for their diligence in running a great facility. Stopped in Wagga Wagga for the night came at this BW hotel. Great place it's well maintained, clean services there and parking at your door step. Definitely one to come across for a night or 2 it's clean and the rooms are spacious. Hi Sam T. Thanks for your feedback and glad you enjoyed your stay. It's definitely a well designed motor inn and a pleasure to operate and we all appreciate the spaciousness. Our staff keep it extremely clean and we'll pass on your appreciation to them for their efforts. Many thanks again and enjoy your travels. Cheers Tony & Lynn - owners. Hi DannymQ3823BB. Thanks very much for taking the time to send feedback which helps us all, guests, staff, searchers etc. Much appreciated. We enjoy looking after guests and have so much fun and satisfaction in our job. Glad you enjoyed your stay and hope to see you again very soon. Enjoy your travels. Cheers Tony & Lynn. Fantastic. Cozy rooms,great service from all the staff. Very well situated Highly recommend. Already made reservations for next year. Owners very friendly and went out of there way to make my son and myself feel so comfortable. Hi Happytravels236. Thank you so much for the review and compliments. We'll pass this onto the staff as well to thank them for making your stay so enjoyable. Many thanks and hope to see you next year. Cheers Tony & Lynn & Staff. Nice appartments Very clean and spacious rooms Close proximity to my event. The couple running the motel were very helping and attuned. Very flexible with my checkout time. Definitely going back next year. Would highly recommend. Hi Daydream827637. Thank you for your review and for the recommendation and staying with us during this event. Glad you enjoyed your stay and hope to see you again at the event next year. Cheers Tony, Lynn & Staff. Clean ,friendly,good service.Would recomend to any one.One of the best motels we have stayed at.Location is close to hospital and shopping centre.Only 1 small detail .Was no ashtrays outside of room.Yes there was ashtray across from room.Great place. Hi Marlene. Many thanks for your feedback and review. The compliments are appreciated and the description helps fellow travelers choose accommodation. We're glad you enjoyed your stay and hope to see you again soon. Happy travels. Cheers Tony & Lynn - owners. "Great stay- everything you need and lovely staff!" We ended up staying at this hotel because our experience with AirBNB was awful. We were so delighted to get to our room here at the Ambassador Inn. The staff were so friendly and helpful. Our room was spotless, huge and had everything we needed; wifi, foxtel, beautiful new aircon, flat screen tv, quiet rooms and a pool! If you're looking for somewhere to spend the night, or even longer, don't hesitate to book in here. Hi Jimbobjamesjim. Thank you for taking the time to provide feedback about your stay. It definitely helps fellow travelers to choose good accommodation. We'll pass on your compliments to the staff who love to hear their efforts are appreciated. Many thanks and enjoy your travels and we hope to see you again soon. Cheers Tony & Lynn - owners. Convenient, clean, friendly, excellent meal provided to my room. Large room with comfortable bed.Everything worked and they provided a full sized, stable ironing board! excellent internet connection.Will definitely be my go to in Wagga Wagga! Hi lfranc838314. Thank you for your feedback. It really helps everyone concerned especially fellow travelers to know where to stay. Our now 3rd upgrade to the Wi-Fi has resulted in a huge capacity system through NBN. Everyone's happy with it thanks to our IT consultant. Glad you enjoyed the rest of the amenities as well. Many thanks again for the feedback and hope to see you again soon. Cheers Tony & Lynn - owners. Hi Ronnilee R. Many thanks for your review and feedback which helps so many people find accommodation.It's definitely a great location. Our staff and team work hard to make all our guests stays enjoyable and comfortable so we'll pass it on to the team. Glad you enjoyed your stay and hope to see you again soon. Cheers Tony & Lynn - owners. Hi trichardson123. Many thanks for assisting with feedback. We're happy to say the motel is all you say it is and a pleasure to work at every day. The proximity to food, shopping, transport and medical is definitely a bonus. Lots of medical staff and patients stay here to be close to the hospital, very handy thank you. Hope you enjoy your travels and we see you again soon. Cheers Tony & Lynn - owners. We stayed at the Best Western Ambassador Inn at Wagga Wagga NSW. Tony and Lynn looked after us extremely well when we checked in and when we had to check out early due to a family issue's they were more than happy to assist us with what we needed. Great friendly customer service. The motel is beautiful the room was wonderful will defiantly stay again when we are back in wagga. Hi dwoods271218 Thank you very much for your feedback and your kind compliments. Unfortunate you had to leave early but hope all is well for you and your family. Glad you enjoyed staying with us and hope to see you again soon. Cheers Tony & Lynn - Owners. Hi Em B. Thank you for providing feedback which helps everyone. So glad you enjoyed your stay. Very quiet here due to building construction and shape which benefits us all. Thank you for your compliments, will pass them onto our dedicated staff who will appreciate it very much. Hope to see you again soon. Cheers Tony. Owner. Internet slower then expected other then that excellent. I cannot fault this place ive stayed here on several occasions. Very clean comfortable bedding and furniture. Ive stayed in the 2 bedroom units each time very versatile ?? Hi Emma. Thank you for your feedback and so glad you enjoyed your stay. Fortunately Telstra has finished the local upgrading work we're told, so our wi-fi internet is back to fast as usual. Hope to see you again soon. Happy travels. Cheers Tony. owner. "1st Time in Wagga Wagga"
O/Night Stay ... Central to all amenities ... cannot fault ... excellent service ... quiet locatiin considering it was on the main road. I would recommend this hotel to anyone. . Thank you very much ???? Hi Tarn70. Many thanks for providing feedback. All our staff try their best to make every guest experience enjoyable. So glad you enjoyed your stay. The building designer got it right so road noise is effectively baffled out and does not reach guest rooms. Thanks again. Happy travels. Cheers Tony & Lynn - Owners. We were put in a 2 bedroom room which was a small home basically, plenty of room for us all.Nice Italian resturant a few doors up and also Gloria Jeans which was very convenient for coffee and breakfast the next day. Hi lcorco622534. Thank you for providing feedback. Sounds like you were staying in one of our villas.They are very spacious for sure and have garages too. We are always grateful for the neighboring restaurants surrounding Gloria Jeans incl Chinese, Indian, Italian and Red Rooster, plenty of variety, something for everyone there. We also provide in-house breakfast as room service which is a real spoiler any day, love room service. Thanks again, glad you enjoyed your stay and hope to see you again. Cheers Tony & Lynn - Owners. Hi W5348AQscottg. Thank you very much for the feedback and the compliments. Our staff work hard to ensure guest comfort so we're very happy you enjoyed your stay and took the time to let us know. Much appreciated. Cheers Tony & Lynn - Owners. 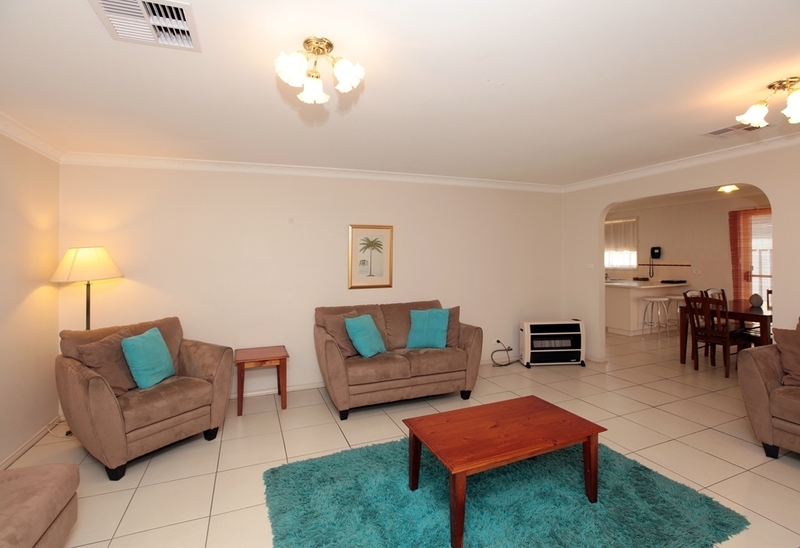 the hotel is in perfect range of both the hospital and Kapooka for march out parades or leave/ social visits. The hotel may seem to some a little dated but is kept in a manner that the rooms were only fitted out recently as maintenance and cleaning is on point. Our room had an A/C but the fan did not blow any harder than the lowest setting making it harder to warm the room, this being said it was that trivial I forgot to mention it on check out. The staff was lovely and Lyn even went above and beyond to make sure we could access our room when we arrived at an un godly 3am. Wonderful hotel and wonderful people. Hi McLiven. Thank you for the feedback and the compliments. The aircons are not limited in any way, but will naturally get cruisy if the room has reached the temp you set. However, our staff are working through all the rooms one by one anyway to check all the aircons because we have no way of knowing which one was yours. Unfortunately there's also no record of your name on our reservation system so we can't match it with a room number. We can only assume you were someone's friend or relative but not the registered guest. But thank you for the compliments again and we wish you happy travels. Cheers Tony. We recently stayed one night on our way through to Queensland. We had a room down the back which was quiet and well setback off the road. The room was comfortable and warm. The shower/bathroom was clean but tired but served us well for the one night. All the staff were extremely friendly and helpful. Room was clean and very well maintained for our three day stay. It was great to have access to a washing machine and they supplied the washing powder - Thank you. Ordered an in-house meal. Superb !! Great taste, large serves defiantly great value. Hi AllWellnessMassage. Thank you very much for the detailed feedback. The compliments are most appreciated and will pass on your feedback to the cook too. Happy travels, thanks again. Cheers Tony & Lynn - Owners. Stayed last weekend with my family of three. Room was well equipped clean and spacious enough for our needs. Beds were uneven in terms of comfort, mine was extremely hard ?? husbands side was ok and daughters was comfortable Pool lovely - nice temperature, saltwater and clean. Overall a nice stay. Hi Karen C. Thank you for sending feedback, always appreciated. Glad you enjoyed your stay and the pool - it's been very popular right through summer. We do our very best to have a slight variety of bed comfort to try to please every guest and please accept our apologies if the bed didn't quite suit your particular needs. We always switch guests to another room to better suit their needs if we have the opportunity, just so everyone totally enjoys their stay. Thank you for letting us know. Once again, thank you for the feedback and glad you had an overall nice stay. Cheers Tony. Owner. "Comfortable, quiet and restful.... a good stay!!!" Stayed for 4 nights while working away. Room is a good size, and very well kept. Fixtures, fittings, linen and bathroom all good. Grounds well maintained. You do not feel cramped at all. Owners took the time to understand my requirements and more that willing to offer advice about the local area etc. You are a bit over 500mtrs from Wagga shopping. All in all a good stay, where nothing was a problem. Would certainly stay here again. Always stay here every month on a business trip. Always found the owners very helpful and understand my requirements. Room is always clean and mini bar well stocked. Never had a problem here at all. Very quiet and a good night sleep guaranteed. Hi Steve. Thank you very much for the feedback and compliments. We are blessed with great staff and such a well built motor inn. Glad you enjoy staying with us, we appreciate your visits. Happy travels. Cheers. Tony. This motel was amazing, clean and tidy and the owners were very accommodating. Great communication and great service, Lynn replied to my emails straight away and was very helpful. The room was a good size and very comfortable. We really enjoyed our relaxing stay and will definitely stay here again. Hi Bron2525. Thank you very much for your feedback and kind compliments. Our staff always do their best to make guests feel welcome and comfortable, and do an amazing job making each room so clean and relaxing. We'll pass the info on to them. On behalf of Lynn & I, thanks again and look forward to your return visit. Cheers Tony & Lynn. Owners. Great clean and tidy room. Super friendly and helpful management. Had a couple of unusual special requests and they went out of their way to accomodate me. Highly recommend a stay on transit through Wagga Wagga. Will definitely be back. Thank you! 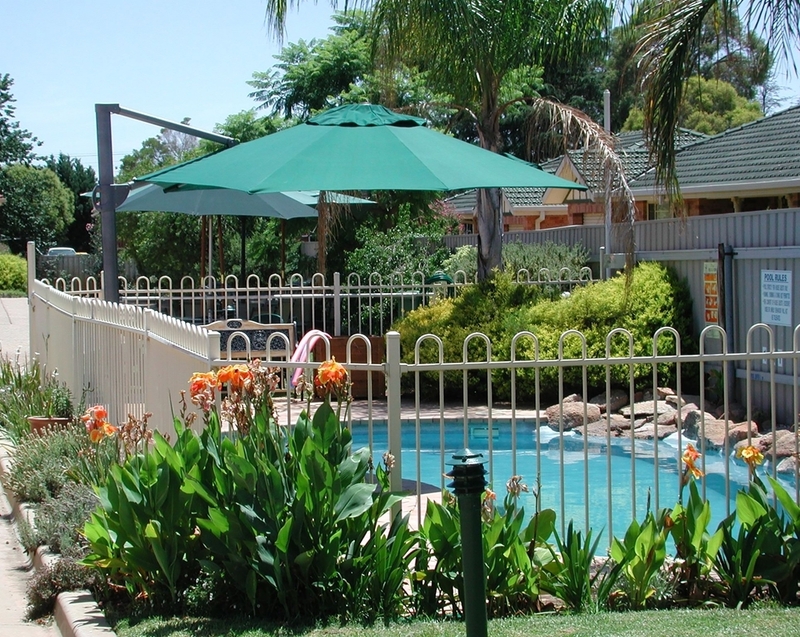 Clean quiet and comfortable well priced and friendly/ helpful management, rooms serviced daily , close to everything in Wagga including CBD , room service available for meals and a small pool to cool off in. Hi Gavin H. Your feedback is much appreciated and the compliments. We agree the motor inn is well located and very handy to everything, and all our staff provide the kind of service and friendliness we hope to find for ourselves when we go away. Thanks again, hope to see you again soon. Cheers. Tony & Lynn. Owners. "Great and Easy stop over"
A great stop over from Melbourne to Forster. Lovely and friendly owners Lynne and Tony were only too happy to help with anything we needed. I will definitely be using this motel any time we go to Wagga, or Melbourne and Adelaide as a stop over. Hi Darren N. Thank you very much for your feedback and we're glad you enjoyed your stay, def need a rest to break such a long trip. Hope to see you again soon and happy travels. Cheers Tony. "Clean, spacious and comfortable rooms." Our room was spacious, clean and comfortable. The motel offered room service and we were not disappointed with the quality or quantity of the food we ordered. The only things we found unpleasant was the noise generated by occupants in adjacent rooms (not really a fault of the motel), and the noisy and somewhat smelly air-conditioner. Otherwise, the motel was a great place to stay. Following a breakdown on our way to a 'girls getaway' weekend our NRMA cover organised accommodation at this motel. We arrived at 9pm after 4 hours beside the road and missing our link up with the rest of our group 200kms away. Tony and Lynn had a sympathetic laugh with us, directed us to sensational pizza in easy walking distance and provided us with a complimentary bottle of wine. (It was so good that we bought the bottle of it that was in the mini bar also!) The following morning they called a taxi to take us too our hire car location and where genuinely interested in our wellbeing. The room was spacious enough for 3 adults, well appointed and super clean. Thanks for your hospitality - it helped us make the best of a bad situation. Hi Gibsonvale. Thank you for your compliments and the review feedback. Glad we could help you make the most of it. Hope your next girls getaway runs smoother and we look forward to seeing you again. Will pass on the kind words to the staff as well. Cheers and happy travels. Tony & Lynn. "Lovely motel , fantastic service, great location really affordable and clean!!" Tony and Lynne were lovely, helpful understanding and really kind as my daughter was in hospital. The breakfast was tasty, a good hearty breakfast. The room was lovely, spacious and extremely clean. Great prices all round. Really close to the hospital which is great because I left the car and walked there as getting parking at the hospital is difficult. I will return with my family and stay as it was quiet with pleasant surroundings great for a weekend or week away. Hi jlovett123. Thank you for your compliments and feedback. Glad you enjoyed the service and facilities despite being a "hospital visit" . Hopefully your next visit will be for recreation only. Thanks again. Cheers. Tony & Lynn. I was in Wagga supporting a sick husband in hospital and Tony and Lynn from front desk were so warm, supportive and the hospitality was wonderful. I got brekky each morning and poached eggs on toast with veggies was so yummy. The room was clean and neat, with tea and coffee facilities, toaster and a mini bar. They have free wi-fi and a pool which looked nice but was too too cold when I visited. The hotel is convenient to the hospital and a 10 minute walk to the Main Street. It was a very comfy stay. Thank you! I stay at this motel every month or so. The owners give great service and are very experienced business operators. The rooms are very comfortable and everything works. 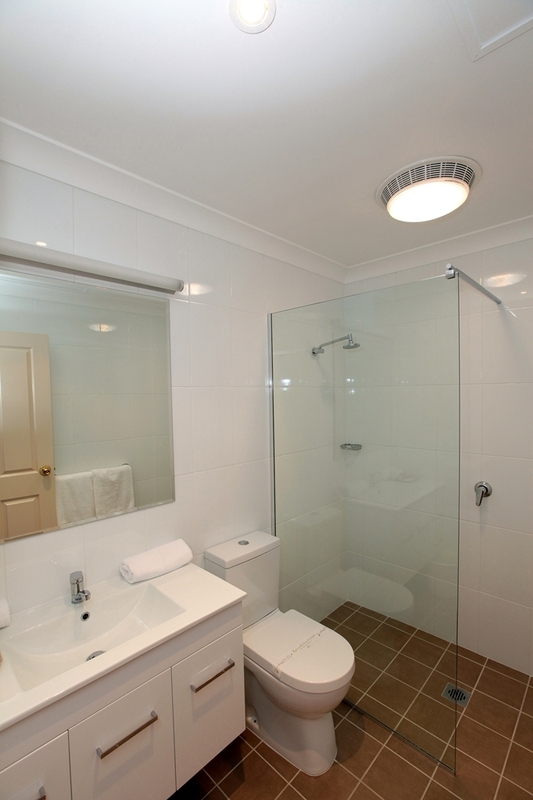 The bathrooms are well fitted out and the rooms are large and tastefully appointed. The walk to the CBD is an easy on flat ground. The base hospital is very close, about 150 metres. Hi Gavin. Thank you so much for your review and kind feedback. The whole team here try hard to make every guest's stay a pleasure and while we can't take credit for building the motel, we also appreciate it's beauty and spacious generous layout. Enjoy your travels and hope to see you again soon. Cheers. "Great place to stop for the night"
Hi Mark. Thank you for taking the time to review our motel. We'll pass your compliments onto the whole team because our staff take great care to make you comfortable. Glad you enjoyed your stay and hope to see you again. Cheers. "Comfortable, clean quiet, standard accommodation with AMAZING staff!" "Comfortable, quiet and all amenities close by"
Stayed here for 3 nights for hockey championships in May. Staff very friendly. Room very comfortable and quiet. Room and property very clean. Great for couples or families. Had a great meal at the local club. Highly recommend. "Luxury at an Affordable price with friendly helpful management"
Hi Brett. Your feedback is much appreciated and will be passed on to our amazing staff as well. They work hard to make sure every guest can enjoy their stay. Thanks for staying with us, we look forward to your next visit. Cheers Tony - Owner. A very nice clean motel. Staff were extremely friendly and helpful. In room dining has an excellent variety of gluten free options. Also located a short walk from restaurants that will charge back. It is a decent walk from the city centre if you want other dining options or visiting for business. The free wifi was painfully slow to the point I gave up and I couldn't access the promoted Pay TV - Not in the tv channels or instructions on how to access. Hi wh0am1. Thank you for your kind words about our motel and staff, much appreciated. We're awaiting NBN connection now only days away due to Telstra's very poor internet - remember it's their product not ours. We don't have pay tv - its Foxtel, it works well and it's free for our guests. If you are ever unable to operate the remote, just dial 9 in any decent motel, especially any Best Western, and I'm sure you'll get immediate assistance , as we always do. The instructions are also in the compendium. Always happy to help in any way we can, just ask. Cheers Tony - owner. Hi Kajez1. Glad you enjoyed your stay and thanks for the feedback and your kind words. Our guests really are welcome so glad you feel it as well. We prefer to serve fresh and generous country type helpings in our breakfasts because after all we're in the country. Thanks again for staying with us and happy travels. Cheers Tony - owner. I stayed in the apartments here last month with my family and it had everything you could need. Spacious, clean, comfortable and welcoming. Check in was very quick and friendly. I booked over the phone with the owner who was very lovely and helpful. Will definitely be coming back. Thank you for making our trip more enjoyable. Hi Lola89121. Your review and feedback is much appreciated by management and staff. We all do our best to make the motel units and the apartments an enjoyable place to stay. As the apartments were designed and built for permanent residents, they are certainly more spacious than your usual purpose built "serviced apartments". For that we're all grateful. Thanks for staying with us and hope to see you again. Cheers Tony - Owner. "Spotless, faultless , beautiful gardens." 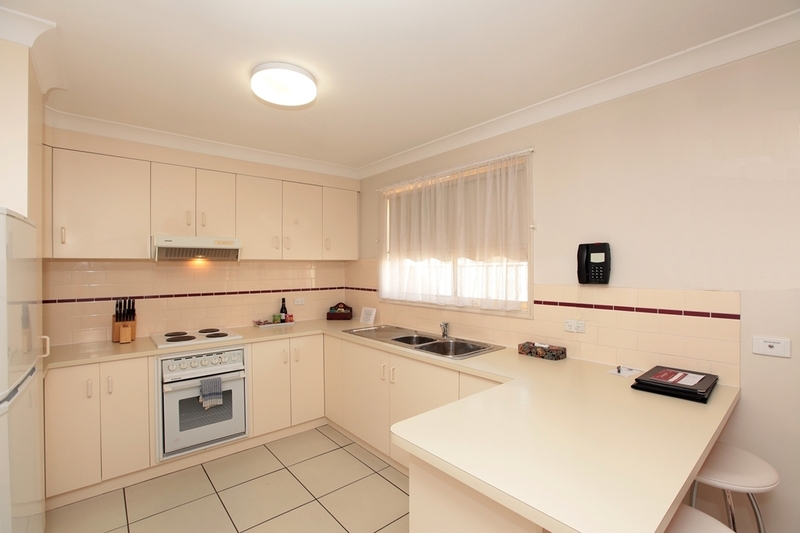 There is no need to look anywhere else for accommodation in Wagga Wagga, this is an immaculate , comfortable and spotlessly clean motel. It is obvious the owners of this motel have taken note of every detail required to make a guest comfortable. The bathrooms are new and faultless, plenty of hot water and excellent water pressure. The room itself had extremely comfortable beds with crisp linens , exactly as you would find in a 5 star hotel. The motel is quiet, the rooms have plenty of space, plenty of parking, beautiful gardens, a quiet space in the gardens to sit and take a quiet moment. Wonderful owners and all in all an exceptional country motel. We could have stayed for a week or two instead of a night. 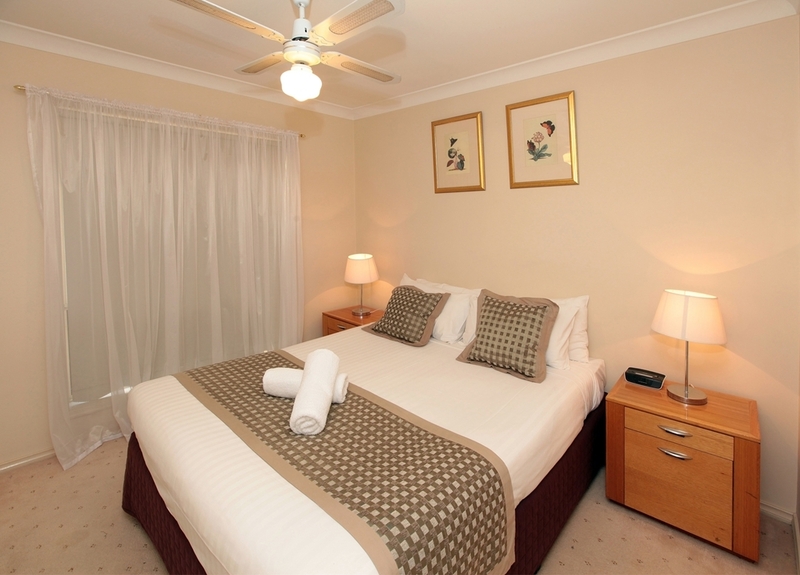 The choice of where to stay in Wagga is easy . Best Western Ambassador Motor Inn. First trip to Wagga for many years, very hot at the time. Received a very pleasant welcome from the Managers and very clean room with the usual facilities. Nice ambience to the place, very nice breakfast in room. Quiet and peaceful, which was a surprise being near the highway. Good value at the price, would stay here again next time in Wagga. Second time in Wagga Wagga and was pleasantly surprised by the neatly presented motel. Very comfortable stay was experienced and the staff where always very helpful if I needed anything ,a great place to stay . After an unfortunate breakdown late at night, Tony was the only hotelier I spoke to who was interested in helping us out. After the tow truck driver dropped us at the motel, Tony was there to meet us. In the time from the phone call to arriving well after midnight, Tony had put the heater on inside the room, put fresh milk in the fridge & left a light on. Even breakfast being ordered the next morning was not too much to ask of Lynn & Tony. The room was clean, warm and plenty of space. Thank You! After the mantra bumped me as I was not important enough , I was sent this lovely little back to the future motel . First the owner lovely friendly man, couldn't ask for better ! But the rooms , o m g , it's 1980 all over , beds from that era too , hard , lumpy and I felt like a cripple after one night of very uncomfortable sleep , the 80s wood grain , carpet , argh ! Tv was the only modern thing , actually a LCD not a crt ! From 2001 I think ! The free wi fi was slow as dial up , and not very useable ! If you are on a super cheap budget and u don't like back packers or pubs may we this is your style ! But for me , never again. Booked this on line purely based on availability and location. Check in was quick and friendly. The rooms are large and the décor is a little dated but the rooms are clean and comfortable, the showers are large and the water hot, beds are comfortable and the air conditioners works well. Breakfast is available every day however dinner is not available on the weekends - so you will need to take a drive to find a meal There is off street parking and although on a main road very little traffic noise. This is not a 5 star motel but is clean and comfortable with friendly and efficient staff - around $150 per night. Our room was large and very well presented- with a large comfy sofa. 3 chairs and a dining table and an exceedingly comfortable bed. There was a generous size shower, super quiet air conditioner, Tv and DVD player (and a wide range of DVDs in reception. 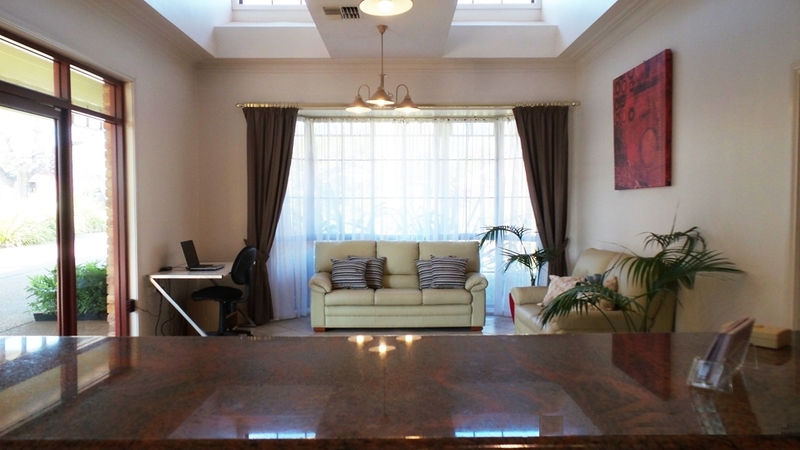 The motel is conveniently placed for the hospital, Medical specialist surgeries, fast food outlets etc. A good place to stay with friendly reception staff and spotless presentation. I arrived on their premier horse race weekend and the army graduation night so I was lucky to rock up and get a decent room, or any room. It had a Queen bed, sofa, small table and chairs, desk/bench, walk-in shower, nice-looking fittings. Half the power points don't allow a phone charger to fit. One on the top of the fridge did (just) and the two in the bathroom did. No doubt if i crawled around I might find some under the sofa or bed. They do have a shed somewhere to keep motorbikes but the only time you may use it would be in the wet. No in-house restaurant except for corporate customers Monday to Thursday. Meant to be some restaurants up the road a bit but couldn't find them so may be they close early; otherwise you'd need to drive into Wagga town. No lights above the bed. I wouldn't stay there again. But a bed is a bed. "Warm and friendly Hotel and Convenient to Hospitals"
We stayed at the BW Ambassador Inn in Wagga the night prior to my early morning major surgery. The Ambassador Inn was convenient to the hospital and to all restaurants the evening before for dinner. The staff on duty were more than helpful in processing the account and giving us local information that we requested for the evening. After pre booking sight unseen we were thrilled to find this lovely motel was everything we had hoped to find. From the moment we walked into the reception till the time we checked out we were made to feel very welcome. The room was exceptionally clean lovely decor with the quietest air conditioner so essential as it was freezing cold over the three days we stayed. Huge shower in the bathroom fluffy towels and plenty of amenities. Will definately re visit when next in Wagga can recommend room 6 for a couple. We stayed here when relocating to Wagga (about 5days) and the hotel and staff were wonderful. It's on the outskirts of Wagga but that being said everywhere is 10-15mins away. Upon arrival they organised for us to have a microwave for bottles (we have a toddler) and set us up with our Wifi tickets so we could sort out the final detail of our move. The room was very spacious with a couch, two person dining, large bed (electric blanket as it was almost winter) and ensuite bathroom. We had a lot of luggage, toys and a portacot but still had plenty of space to move about. The hotel is undergoing some renovations to update the rooms but we didn't find any issues with ours. We dined in as our little one was cranky & teething and were very happy with the menu from the onsite restaurant. The food was cooked beautifully and we enjoyed it. Breakfast was bacon/sausage and eggs pre-ordered. The pool was closed due to the cold weather as its outside. They have a tennis court (you can get supplies at reception) and there's heaps of outdoor space so we had a little walk to wear out our daughter. We would be happy to stay anytime but if relocating again I would probably request the moving company book one of their larger rooms with cooking facilities. On first inspection, the Best Western Ambassador Motor Inn provided us with a very large room and a high quality bathroom. The counter service was friendly, and all other staff seemed friendly and helpful, even when asked for something extra like an additional towel. The room had everything you expect plus a large two seater sofa. The weather can get cold at night in Wagga, so the new reverse cycle air conditioner and electric blankets were pleasant additions. "Great for a short stay"
This was the second visit to this hotel. This was the best visit so far. For a country hotel in a big chain the hospitality was great. The owners were very obliging with requests. Everything was very clean. Room services was very prompt. There is a good breakfast selection. It is in the main street not far from the local hospital. "Great visited twice in a week!!" My wife and I recently spent one night at the Best Western Ambassador Motor Inn on route to Melbourne. The rooms are large, tastefully furnished with all the amenities you expect of good motels, such as tea & coffee making facilities, TV, air-conditioning, comfortable bed, mini-bar. Motel management were very friendly and helpful, especially with dining suggestions. The shower in the bathroom is one of the best we have encountered in motels. Excellent. My only gripe (and its not a deal breaker) was that I was charged $7.50 for a can of VB - which was not listed on the Mini bar price list. Notwithstanding this, I would be more than happy to stay at this establishment again. FREE WiFi is available. Stayed one night at this motel. This is a great to stay and I would certainly recommend it. The room was spacious, very clean and the bed was very comfortable.,staff were very friendly and the motel was very quiet. Their is a courtesy bus to the local RSL. We booked this motel as it was handy location for what we needed to do in town . Sure glad we did as it was a very comfortable stay for the weekend . Very happy hosts who advised us of things to do and eating options in town . Room was clean with great hot water and comfortable bed for a great sleep . We had breakfast delivered both mornings which was on time and plentiful to get us going . Car parking at the door was easy for unloading car and the wifi worked a treat . Highly recommend for anyone travelling through ! I travel each weekend for my work year in year out so i stay at many accommodation facilities. I must say this is one of the best Ive seen. The staff were so friendly and welcoming, happy to assist with anything, the units so clean and updated to the finer detail, the food very ample fresh and tasty. This place has it all!, they even assisted in helping me get my car clean. Fabulous!!! i highly recommend staying here. "Great plesure to stay here"
Motor Inn is right on the Highway but the rooms are very quiet with parking at your door. We only spent one night as we were passing through. The staff were exceptional and the room was spotlessly clean, with all necessary amenities. We had room service breakfast which was delicious. A real home cooked breakfast. Highly recommed if you are in the area. Last minute booking travelling back from Sydney. Great Motel - very very clean and staff at reception are exceptional. Really good breakfast served in room. Even thouhg this Motel is on a busy highway the rooms are quiet with parking right at your door. A pleasure to stay at the Ambassador Motor Inn in Wagga Wagga, the room was spacious, clean and well presented. The meals were delicious, both dinner and breakfast well priced. We will be definitely staying here again on our repeat visits to Wagga Wagga. 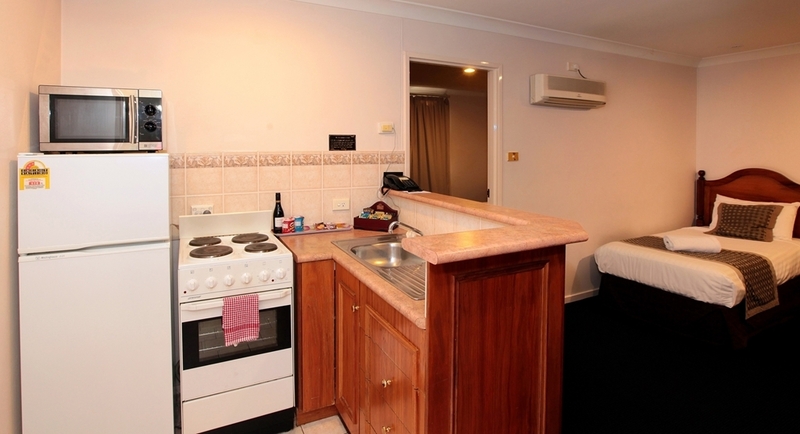 "A quiet spot on the main road"
Wagga is blessed with many motel/hotel options. For middle-of-the-road overnight stays, The Ambassador is a good pick. 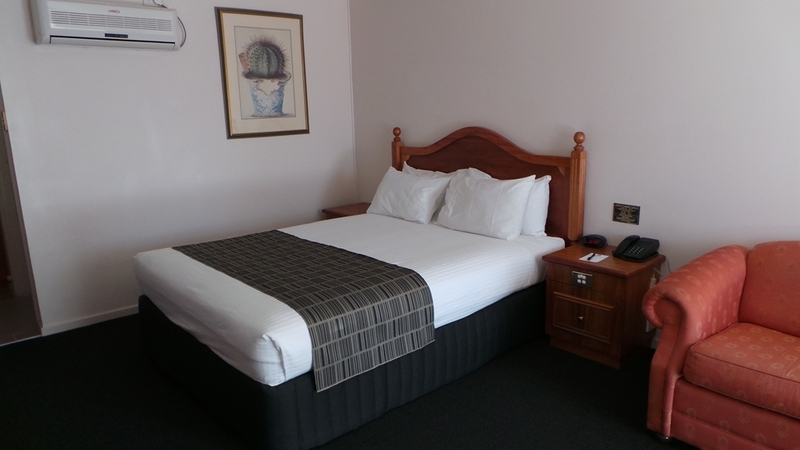 Although on the main highway through Wagga, the room was quiet with no traffic noise. A short walk to nearby eateries and convenience store and fuel. Internet access is good, if a little challenging to be connected. Air-conditioning works well. My daughter and I had to stay in Wagga at short notice due to my husband having emergency surgery. The owner (Tony) delivered exceptional service. Was wonderful to stay at a place that had a salt water pool. Clean, spacious, air conditioned room, tea and coffee making facilities, and a reasonably well stocked mini bar....and beautiful, well maintained gardens. Also close to the hospital. We would definitely stay here again. Found myself travelling through Wagga on the way south for the Xmas break .. I had stayed here before for work so decided to pull off the road and call it quits for the night ... Good to see the same owners still there and my details were still in their system so check in was more like an old friend dropping in ... Room was a great size and nice and clean so was a relaxing evening after a fair drive .. Next morning had a great hot brekky and coffee delivered promptly which was perfect ... check out was easy and i got back on the road .. Just like to say thanks for a great stay once again !! Have stayed at this motel twice in the last month - staying two nights on both occasions. Made to feel welcome on both visits. The room was a very good size with modern bathroom and most importantly very clean. Close to restaurants and a short drive to main shopping area. Would not hesitate to stay there again. I travel to the Riverina very often for work and stay here every time I am in Wagga Wagga. The owners, Tony and Lynn, always greet me with a smile and joke. After a long drive between the various areas I have to visit, it is fantastic to arrive here. The rooms are all well decked out and the meals (cooked in-house) are always delicious. The air-conditioners are quiet and effective, cooling the room very quickly even on the hottest days. With large showers and even some rooms with a spa bath, you can really relax here. The Wi-Fi is fast and free which makes logging into the work system easy and allows you to get the days emails finished. I can't say enough about the times I stay here. They are just fantastic hosts. Thanks Tony and Lynn, you know the meaning of Customer Service! My wife and I had a very friendly welcome by the brother of the Motel owner. We enjoyed a two night stay with the room being very comfortable and quiet. The air conditioner made the room very comfortable on an extreme heat day! 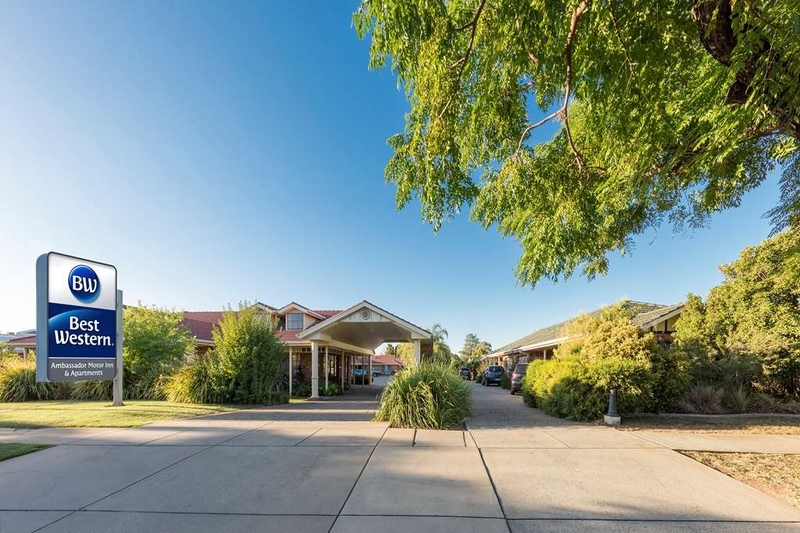 The motel is located in walking distance from a complex containing take away food shops, and Wagga Wagga Base Hospital is nearby. The room is in fair condition but the furniture is starting to show its age and will need modernising soon, with some electrical switches and a power point needing replacement. The bathroom needs extra cleaning as there is mould around the shower base. There is free wi-fi, but it took until we got home for the log-in page to show up. We did not seek help because we arrived back at the room very late after a very long day out and we were far too tired to bother! Stayed two nights for work and what a great motel. Quiet and comfortable and the owners are very welcoming. Great bed and modern bathroom. Close to the city center and easy to find. Great breakfast and found nothing negative about my stay. "Very well presented, and friendly staff"
Do not waste time staying anywhere else! My partner and I were stranded in Wagga on christmas eve as the car broke down, and the exceptionally lovely owners of this motel made every effort to help us find a rental car, and to wrangle assistance from the NRMA, and helped to make our stay as comfortable as possible, even though our car was broken down from christmas eve to new year's eve! As for the rest the room was lovely and clean, the breakfast menu is delicious, there is a range of dvd's to borrow, there is foxtel and a nice pool for summer and the beds are lovely and comfortable. "Great Family place to stay!" We travelled with 3 small children (under 5). Our villa had helps of room for everyone, was clean & had everything you could want (full kitchen, laundry, bath). Very family friendly. Not noisy considering it is located off the main road. Has a restaurant but we didn't get to try it as we were visiting family. Stayed 1 night. Standard twin room was clean and spacious, mini bar reasonably priced. This motel is run by a very friendly and welcoming couple who greeted me warmly on arrival. Road noise was not an issue as rooms were located to the rear of the block. A lovely spot, recommended to all travellers. 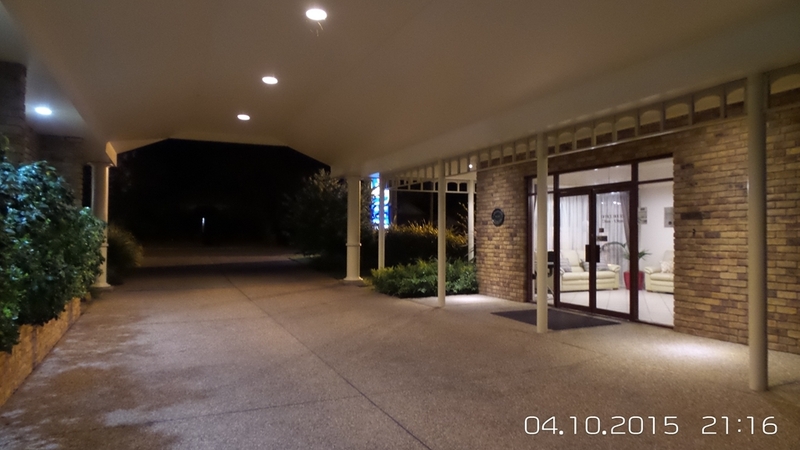 We recently stayed at Ambassador, Wagga on a very cold night. The quiet split system was most satisfactory, the room spacious and clean. Bed was comfortable too. A very quiet room even though it is situated on a main road. We had a nicely cooked breakfast delivered to our door the next morning and hosts were very welcoming. We can highly recommend a stay there. Hi Judy. Thanks for the feedback and so glad you enjoyed your stay. Yes the rooms are quiet and the building configuration and construction ensures you don't hear any road noise even if there is traffic. Hope to see you again soon. Cheers Tony - Owner. "A very warm welcome "
Run by a delightful couple, who really make you feel welcome. Rooms large modern with a new bathroom. Bed had an electric blaket. Even though the hotel is off a main rd it was surprisingly quiet. Room service for dinner delicious dinner steak with mushroom sauce & creamy potatoes. Cooked breakfast was cooked perfectly. I highly recommended stay. A really enjoyable stay. On a recent drive to Melbourne (July 2015) from North QLD with my family (2 adults and 4 children) we blew our car engine up outside of West Wylong. the tow truck took us into Wagga at about 11.00 at night we tried quite a few hotels/Motels however no other hotel/Motel with 24 hour check in would answer. With all the kids tired from being stuck on the side of the highway for hours my wife and i started to become worried about where we were going to stay until we rang the bell at the Best Western Ambassador Motor Inn. From the Moment Tony answered the door nothing was to difficult we got a great rate on our room which was actually a family unit (The size of a house). Arriving so late nothing was open Tony was happy to help us find food for the kids and even gave us a bottle of wine to relax after a hard day beds were comfortable the heating worked well and in the morning had a great hot breakfast delivered to our door. The following day we were trying to organize insurance, tow trucks and hire cars Tony and his wife offer to take my wife shopping to grab some items for us and the kids and also dropped me to the hire car company. Nothing was to difficult and made our situation allot more pleasant. we have traveled quite a few times to Melbourne ant this was the best experience and best service we have ever received from a motel. I would recommend the Best Western Ambassador motor Inn to anyone and will definitely stay there with my family again if we are ever in wagga . Thanks Tony and Lynn.